How To Turn A Pumpkin Into A Camera from NPR on Vimeo. Read the NPR article here. - This video of a wedding photographer fighting a videographer has been making the rounds. - The PDN PhotoPlus Expo runs this weekend in NYC. Please feel free to grab us some free schwag if you happen to attend. - Annie Leibovitz is selling off prints to aid her debts woes. It’s not going so well. - AMC’s Atlanta-shot The Walking Dead premieres on Sunday at 10pm. 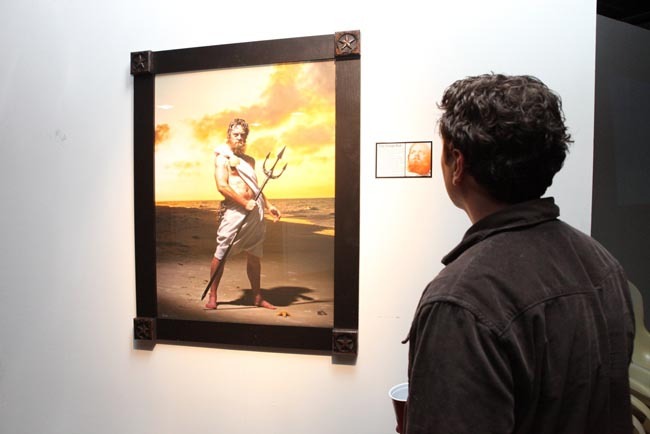 - Congrats to Photo Lucida’s Critical Mass 2010 winners. Representing Atlanta was Kendrick Brinson. - Is this a prize winning picture? If so, we really should have been photographing the face-down residents of midtown’s sidewalks. 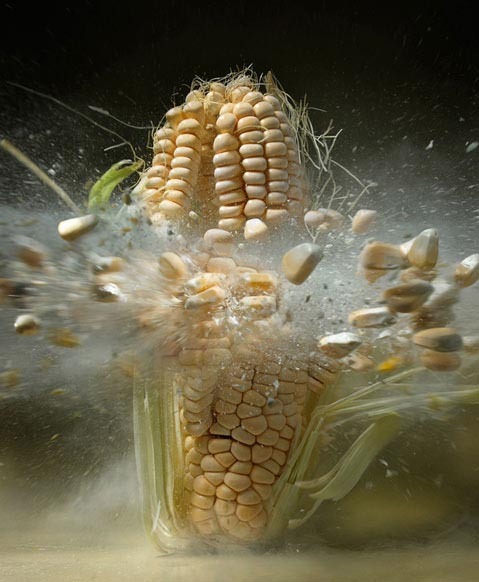 - Exploding vegetables. Check them out. Your new project is entitled The Chronicles of Follicles. Tell us a little about the project. Well, we noticed the “growing” trend with facial hair over the last few years and to be honest we just thought everyone was starting to copy us. But, no, beards are back and it’s a pretty hairy situation. Since we were both five, we’ve been cultivating and sculpting different hairdos on our faces and we thought it’d be cool to do a photo project on the subject. We firmly believe that beards are reincarnated souls that have come back to guide us. Every beard has a story to tell, which is why it grows so close to the mouth. This is our attempt to tell those stories and maybe even give a little glimpse into the man behind the beard, albeit, just a slight one. Because you used big words, I had to check the dictionary, and it seems a follicle is a cluster of cells from where hair grows. Is it safe to say the project stays above the neckline? Oh yes, you could almost say it hovers. During our research with some local industrial shamans, we ascertained that the bristly appendage that germinates from a man’s face (and some lucky women) is actually larger then it appears. Beards have auras you know, and some of them can be quite large, actually filling entire rooms. Are some of these photos based on true stories? Well, to quote Abe Lincoln, “If the eyes are the window to the soul, then the beard is the doorway to the mouth.” You can always trust a man with a decent beard to be truthful. Was the workload split 50-50, or did one of you contribute more than the other? Were grooming tips shared between you guys and the subjects? We don’t like to take that much control of our subjects. We’d much prefer for them to grow their own way… a free-range beard that reaches maturity on its own accord. We would never dream of forcing a man’s art into something that it’s not. The style of beard determines the character. Did any of your ideas end up on the cutting room floor? Yes, well, the sink basin rather. We had these grand illusions of a garden gnome in a Scandinavian fortress that never came to fruition. As was mentioned earlier, we cannot force a beard into any character unwillingly and the gnome’s beard never presented itself. Just as well though, our budget was stretched thin as it was and airfare for two Dorns and a gnome to Oslo might have put us under. The lighting seems very deliberate. Did you plan ahead for each shot or adjust the lights once you began? We knew the style of light we wanted for this project so we set the lights accordingly before the subject stepped in front of the camera. However, like most things go, there were adjustments to be made. Take a Christmas tree for example. You know you’re probably going to use the same lights and ornaments you used for who knows how long, but no two trees are the same and the application changes every time you do it. A big bushy beard is no different, save for a few less ornaments. Was there any shaving after the photos were done? Only for the ones who were unlucky enough to be caught. Any advice for the man trying to grow the perfect beard? First off, there is no longer such a thing. The “perfect” beard went into extinction sometime in the late 19th century and we were left with its prickly, overly evolved cousin. It’s a sad situation that we’ve all come to be part of and hair in general seems to be working its way out of commission. It won’t be long before the human race is nothing more than bald versions of the past, shivering in the cold, and owing more traits to worms than to beasts. However, we still encourage you to give a home to the most visible trait of a man and grow a beard while you’re able. I will warn you that it takes patience and commitment and is not for the immature. If you are willing to answer the call of man, then toss out your razors and prepare for months of frustration, joy, and catharsis as you witness the miracle of life take place on your face. It takes around nine months for a good beard to properly gestate and another nine months to cultivate it into a work of art. It’s a process, sure, but that’s why the rewards are so great. 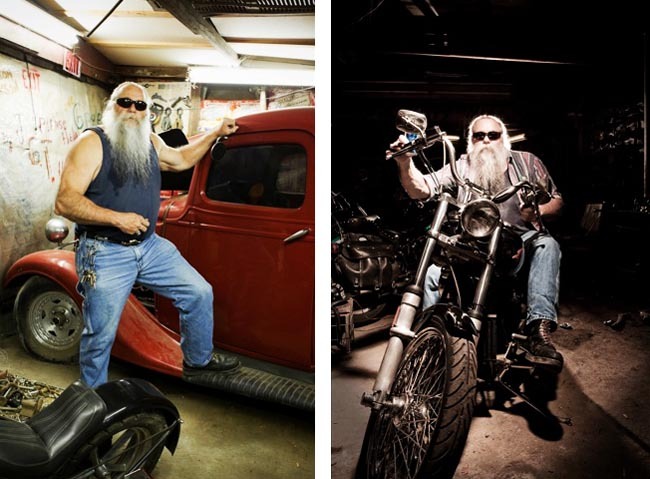 The Chronicles of Follicles continues at the MINT Gallery through Oct. 31. 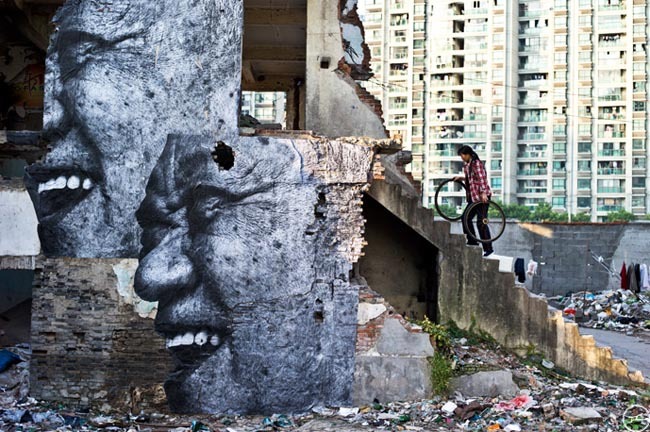 - French artist J R, who is best known for giant murals in poverty-stricken areas, was awarded the $100,000 TED prize. - Famed Penthouse founder and frequent photographer Bob Guccione passed away at 79. Our favorite obit appeared in Live Science, which promoted the man more as a science aficionado rather than pornographer. - Chris McCaw takes some so-so pictures, but uses some really interesting cameras to do so. - Conscientious reviews Nadav Kander’s new book, The Long River. - Darcy Padilla won the W. Eugene Smith award for her nearly 20-year work documenting a woman with AIDS. - And the not-really-meant-for-kids-anyway show Glee has apparently angered some fans after this month’s GQ photo spread featured a couple starlets showing some skin. We really don’t want to know what kind of creepy voice Terry Richardson used to encourage the girls to get in the moment. Occasionally on lazy Sundays we like to head over to Barnes & Noble, grab a cup of liquid caffeine, and peruse the magazine racks. 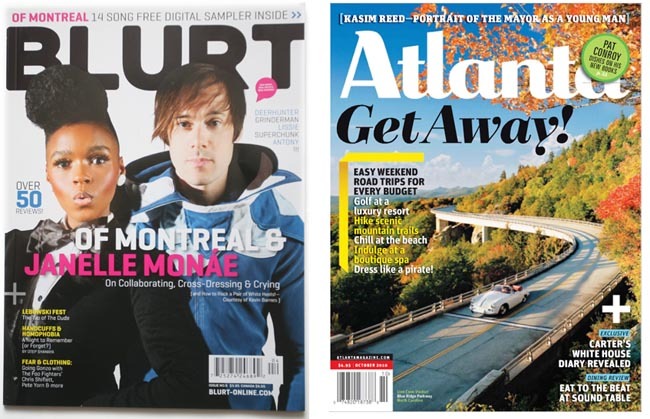 Spotting a photo taken by one of our local standouts is always nice and we thought it would be good to spotlight some of the tearsheets Atlanta is producing. 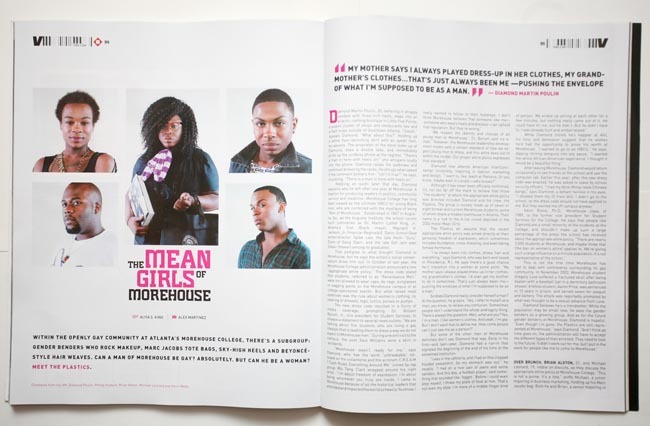 Alex Martinez shot the controversial gay students at Morehouse, Patrick Heagney garnered the cover of Blurt with Janelle Monae, and Ryan Hayslip nabbed the cover of Atlanta Magazine. 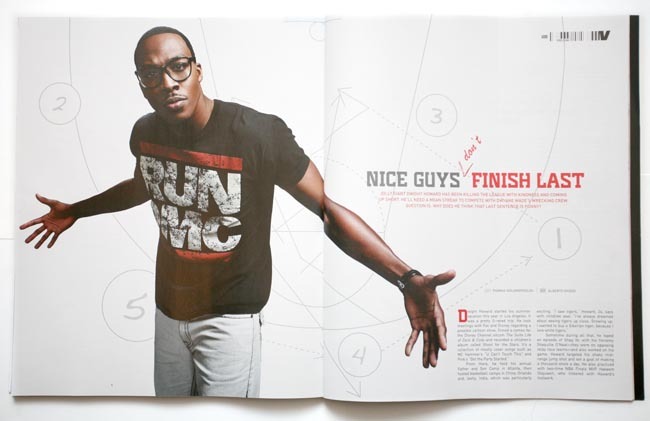 It should also be noted that former Atlanta rockstar and current Miami resident Alberto Oviedo scored a spread in the same issue of Vibe featuring the Orlando Magic’s Dwight Howard. If you or someone you know has an image in current print, hit us up.